WASHINGTON—Hours after casting his vote to repeal the Affordable Care Act and replace it with the GOP-authored American Health Care Act, Rep. Justin Amash (R-MI) reportedly terrified his constituents even further Friday by assuring them he had read every word of the newly passed healthcare bill. “I made sure to read the AHCA bill line by line before I went up to the rostrum to vote Yea,” said Amash in a chilling statement, which according to reports caused the blood to drain from the faces of all 700,000 constituents of his Western Michigan district. “After acquainting myself with each of the provisions of this new bill and carefully reviewing every section, I was able to make the [extremely frightening] decision to support it. 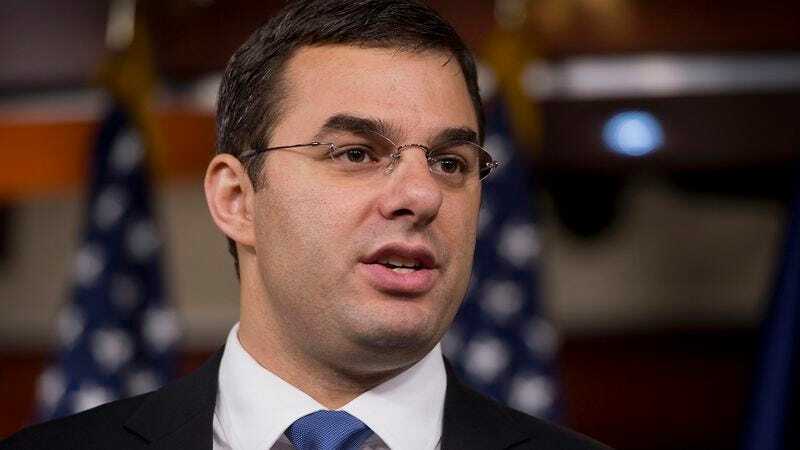 I think it’s important to be informed on the issues.” At press time, residents of Michigan’s 3rd district were reportedly frozen in fear after Amash stated that he would be displeased if the Senate voted to remove any parts of the bill.